The style of karate practiced is Seiki Juku Karate (U.K.S.K.O.)  (meaning “True Spirit”), which is kyokushin based and is a very powerful form of karate. Whilst this style of karate lays great emphasis on safety, discipline and the building of confidence, fundamentally it is a powerful, no-nonsense form of karate which teaches you how to defend yourself in certain situations should the need arise. The emphasis therefore is to train hard / fight easier. The aim of the club is to promote and teach strong, traditional karate. Seiki-Juku Karate is a no-nonsense, traditional style of Karate. The primary purpose of karate is teach you how to fight and defend yourself. However, there is much more to be gained from training in karate which can only be discovered from undertaking sufficient rigorous training over a substantial period of time. The training is frequently tough, but always enjoyable and rewarding. The club instructor has trained for many years in this traditional style of Karate directly under one of the country’s finest and most highly regarded karate exponent and sought after instructor, Shihan Frank Perry (8th Dan). The club instructor has trained (and continues to train) regularly in Muay Thai (Thai Boxing) and holds a brown belt in Ju-Jutsu. Accordingly, the added strengths of applied karate taught is of particular interest to MMA or mixed martial arts practitioners, who find this style of karate and the training we do, to be of enormous benefit to their stand-up programme. Our applied karate classes are of particular interest to people who work closely with members of the public in the community such as security staff, club workers, school teachers, nurses and doctors. Unfortunately, crime including physical violence is on the increase. Hopefully you or your family will never be in a situation where you have to defend yourself, but should you find yourself in such a position, Karate could be the deciding factor. Not only does Karate teach you self-defence in a combat situation, it also provides a high level of fitness, flexibility and therefore all of the physical attributes required to cope with a violent situation should it arise.